3127 West Los Angeles Ave.
We specialize in providing precise custom concrete mixtures to meet the needs and specs of any job. State Ready Mix Recycling is one of the largest certified asphalt and concrete recycling plants in Ventura County. At Grimes Rock, Inc., we sell and deliver high quality, competitively priced construction aggregate and road base products. State Ready Mix is the best source for ready-mixed concrete in Ventura County. 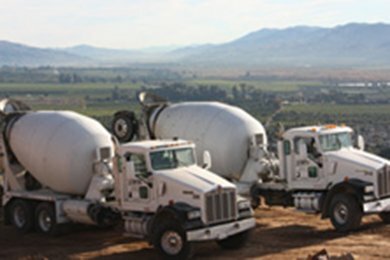 With a large, well-maintained fleet of mixer trucks, well-trained, dependable staff, and access to an extensive supply of concrete base materials, we’re able to meet the concrete needs of construction jobs anywhere in Ventura, Oxnard, Camarillo, Simi Valley, Thousand Oaks, Malibu, and Santa Barbara. We’ve served thousands of satisfied contractors and homeowners since 1988. No job is too big or too small, and we have the expertise and capacity to meet any concrete specifications. Whether it’s a new concrete patio for a residential property, sidewalks for a housing tract, or pavement for local highways, State Ready Mix is the best choice for custom ready mixed concrete designed to meet your specific PSI requirements. We're able to custom mix normal-weight or lightweight concrete in any color you need, and add concrete additives, such as fiber mesh or stabilizers at our facility. We offer the highest quality ready mixed concrete because all of our aggregate material is sourced from our very own aggregate processing plant, Grimes Rock, Inc. Orders can be arranged on short notice, and our mixers can be dispatched 24 hours a day. We also have one of the few certified asphalt and concrete recycling plants in Oxnard. At the State Ready Mix Recycling facility, we accept any and all construction concrete and asphalt and recycle them into new road base material. Click here to learn more or here to get a quote on our concrete and asphalt disposal fees and/or the recycled concrete aggregates we have for sale. Call today to learn more. Our company is led by industry veterans who have served the concrete needs of Ventura and Santa Barbara counties for over 30 years. Because of their knowledge and experience, they can be relied upon to provide the guidance you need to complete your concrete project successfully.